I’m Lucia Harrison, I’m 22 and currently in my fourth and final year of studying Accounting and Finance. 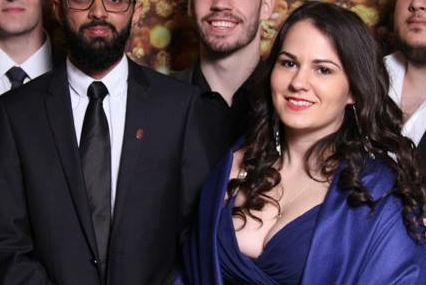 I’m also president of the Financial Trading Society, which won Best Society 2016/17, and Society of the Year 2016/17 at the CUSU awards! 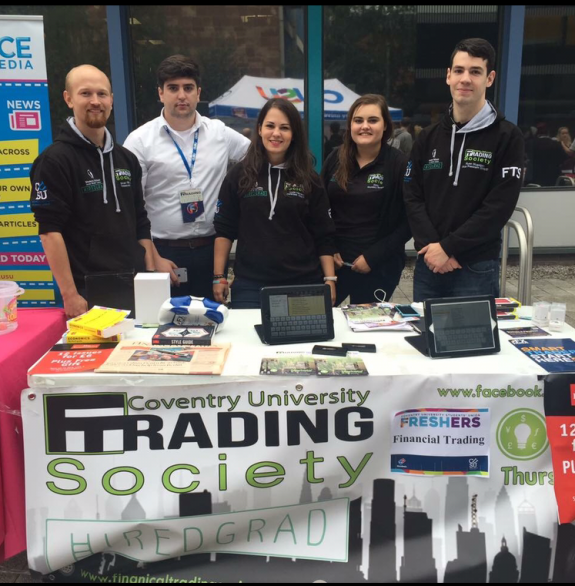 Although a relatively new addition to Coventry Uni, the Financial Trading Society has made a monumental impact this year making CUSU history as the largest ever society. Meeting every Thursday evening 6:30-8pm, the society combines educational learning with post-meeting socials to create a rich student experience. Despite only beginning three years ago, the society is well known around campus with members from all courses ranging from Occupational Therapy to Biology; all with a common interest of learning to trade. 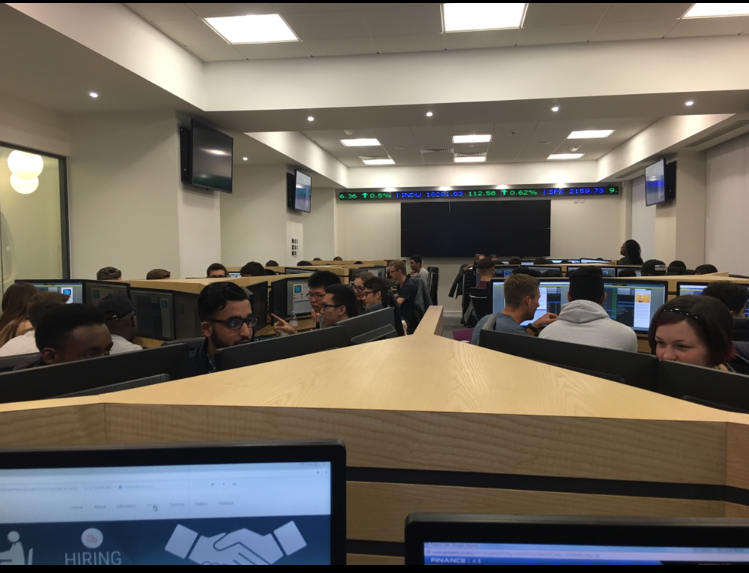 The Trading Floor in the William Morris building, the largest Bloomberg trading floor in Europe and third in the world, offers each member the opportunity to study towards the Bloomberg Market Concepts certificate for free, where it’s normally $250. This year the society benefited from four sponsors, each offering their own package. Of the two trading sponsors, one offered each member a $50 trading account with real money, and the other organised a trading competition, in which the winner won a summer internship with the company. The society also organised an employment fair through its employment sponsor, consisting of firms offering internships, placements and graduate roles within this networking event. Finally, the catering sponsor offers free food in the social after every meeting, a nice addition you don’t get after a typical lecture! It’s not all about making money, the society also organised a trip to Amsterdam for three days for only £20 per member, inclusive of a canal cruise with unlimited beer and pizza! Taking in the sights and visiting the oldest stock exchange in the world enticed 180 members this year, with more planned next year. Ever fancied the chance to play against your lecturers in 5-a-side? The society also has a sporty side! This year it organised a football tournament with lecturers, other societies and sponsors complete with a viewing balcony to watch the game unfold. Think only Varsity has the sports? Think again! This year the society competed against Warwick and Birmingham Universities, in an inter-uni trading competition and in which Coventry were crowned the champs. Strong staff relations with the Faculty of Business and Law led 50 members to visit Bloomberg Headquarters in London for free, to see what a career in finance really looks like. Hedge fund managers, traders featured on the BBC programme Traders: Millions by the Minute and inspirational stories from past members are just some of the guest speaker events the society put on this year, with networking opportunities being crucial for members interested in a finance career. 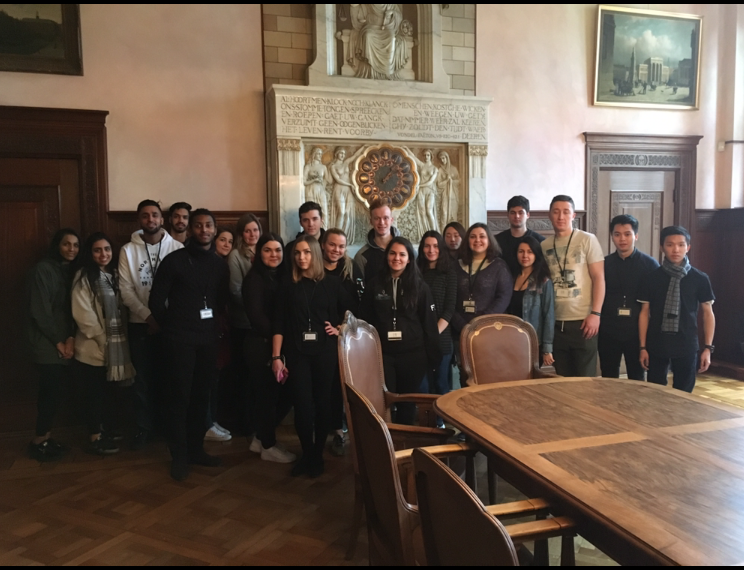 The society committee comprises a dedicated team of Finance students with exciting ideas and plans for the future and a consistent belief to be the best. 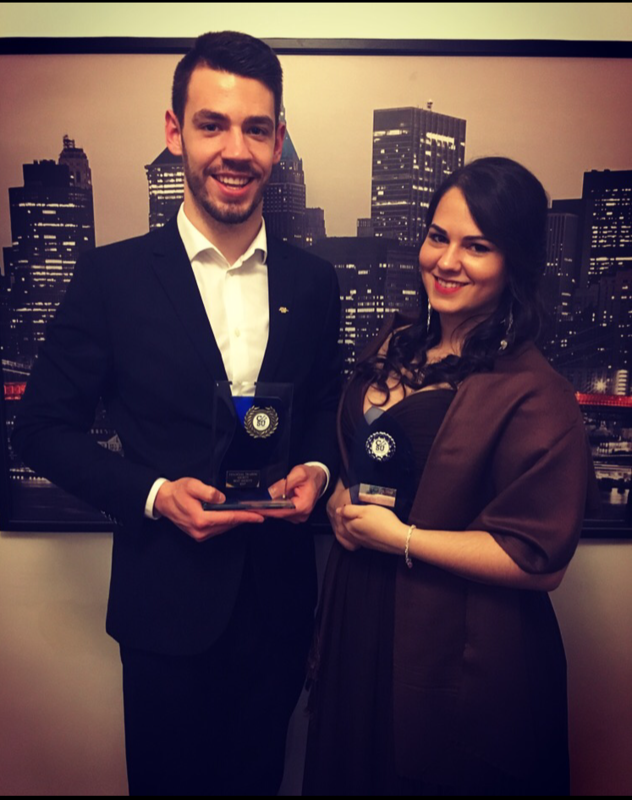 This year the society was distinguished with the Best Society and Society of the Year awards, with our very own Vice President winning Best Society Official 2017. Interested in finding out more? Check out our Facebook page or visit our website.